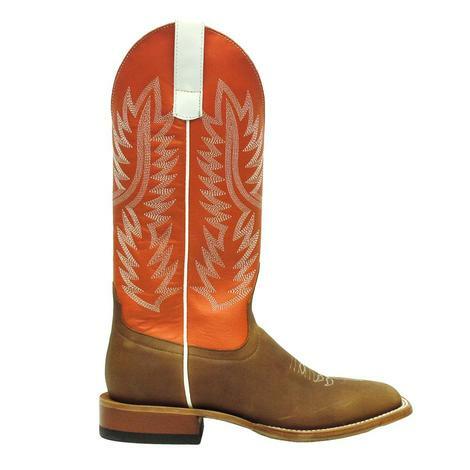 This boot has a tangerine leather shaft with a honey crazyhorse vamp. Tht white western stitching on the shaft looks great and has matching piping and pill tabs. Sits on a hybrid sole. 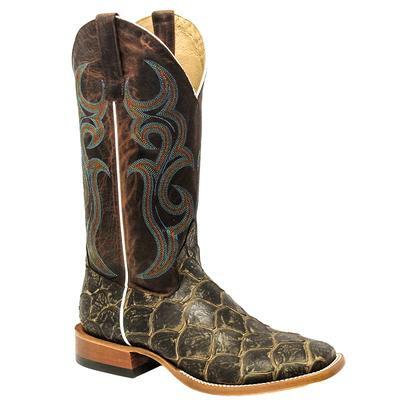 Horse Power Kids` Chocolate Nile Croc Print Boots are a ready to wear for your kiddos and double for barn or school with sturdy wear. 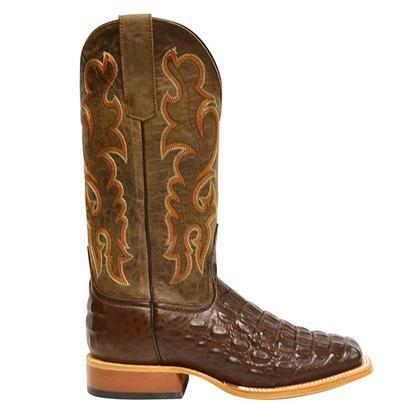 These are cream on chocolate in a nile croc printed vamp that looks really nice with the new school jeans. 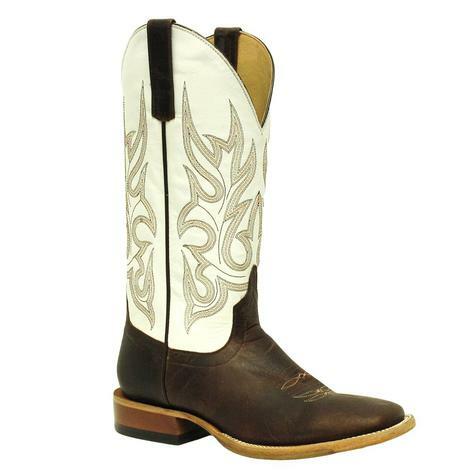 The Horse Power Men's Sabotage Mocha Cowboy Boot has a great mix of crisscross chocolate and tan vamps with 13" shafts of distressed full grain leather. 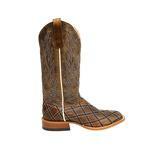 Each pair comes made with square toes, double stitch welts, roper heels, leather outsoles, and cushion insoles. 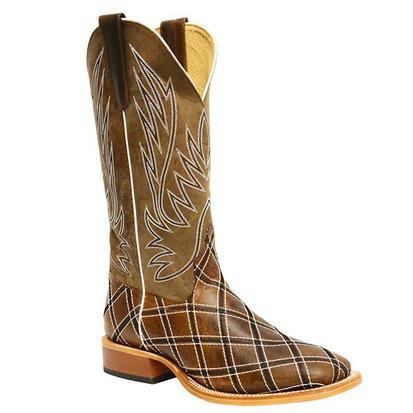 Horse Power Men's Crazy Train Patchwork Cowboy Boots are an eye catching pair with bright orange patterns and checkerboard based vamps. 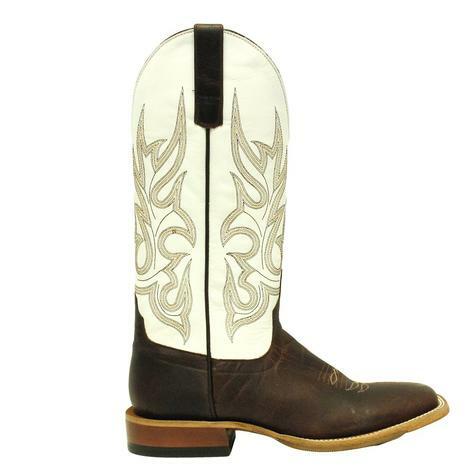 These boots are lovely and durable. 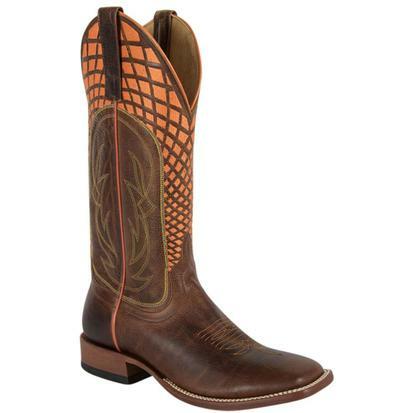 This boot by HorsePower has a Sahara Sand vamp leather, with a 13-inch shaft. 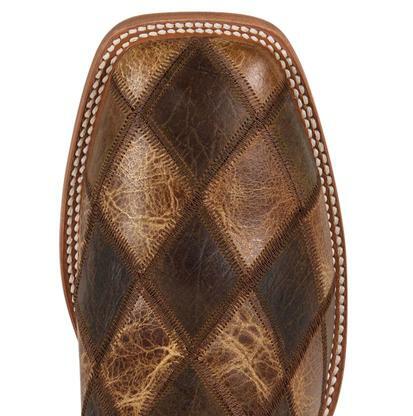 They have a roper heel with a leather sole. 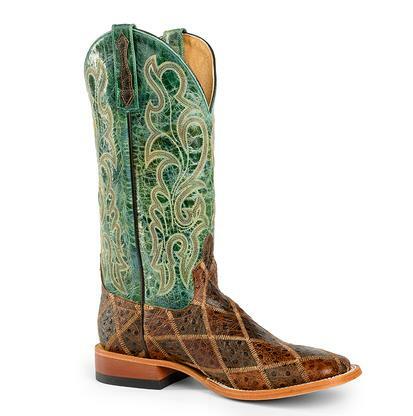 Match them with a nice pair of jeans and a pearl snap for a fun night out on the town. 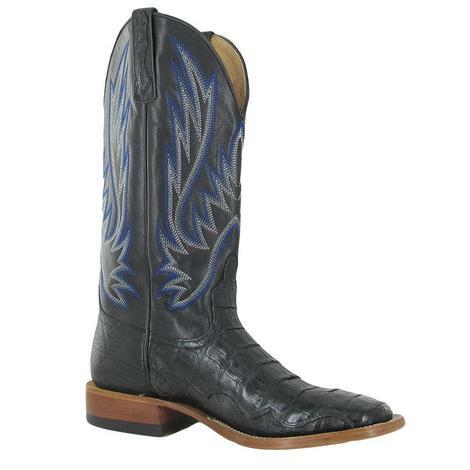 Upgrade yourself with these Black Magic cowboy boots! 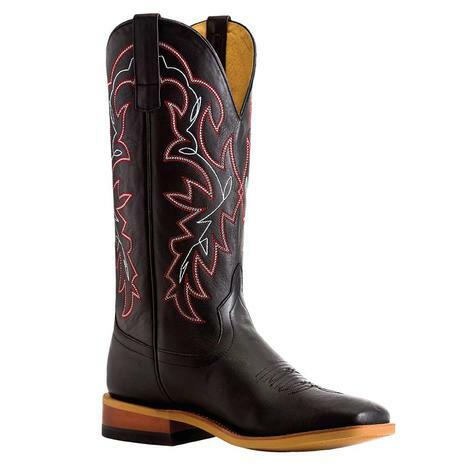 These western boots feature a wide square toe, black magic vamp and a 13" shaft, featuring red and what accent stitching, black piping, oxbow sole, and roper heel. Dress them up or down you can match these well with anything. This limited edition boot has a 13 inch maroon glove shaft with a chocolate bucko vamp. 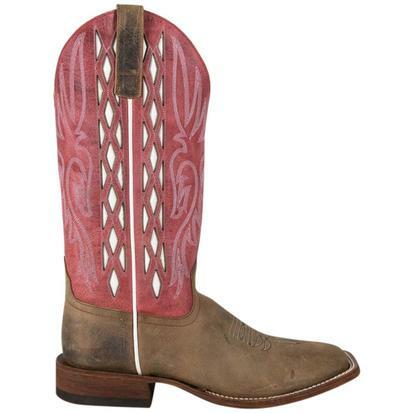 The toe is square and the boot sits atop a roper heel. This STT limited edition boot has a honey crazy horse vamp with matching shaft, square toe, roper heel, and work rubber sole. The shaft is 10 inches tall. 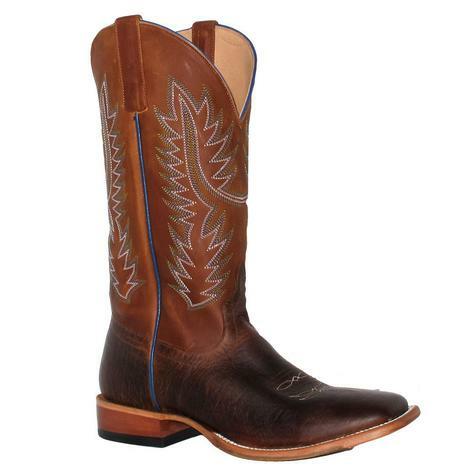 This handsome boot features a 13 inch hans cognac shaft with a toasted bison vamp. Sits atop a roper heel. 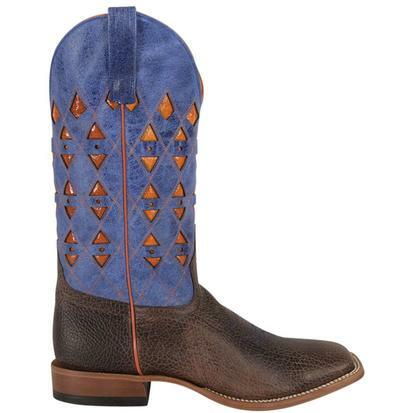 This genuine leather boot features a Toast Bison vamp with Navy Vail embroidered shaft. 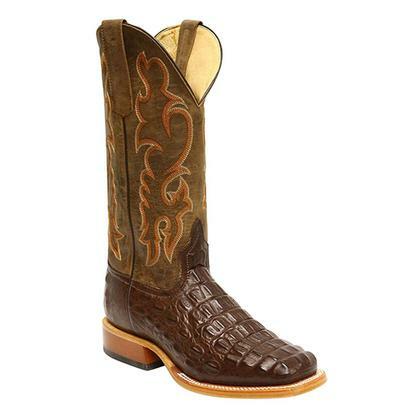 These Horsepower boots are a built with high quality genuine Caiman. 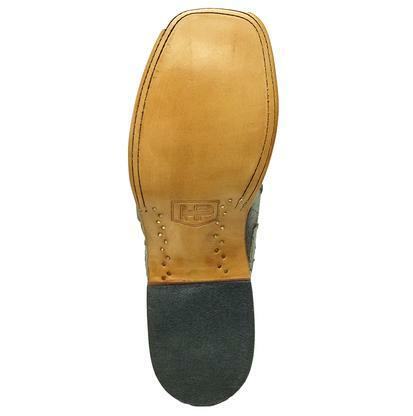 Other notable features include a wide square toe and a leather sole. These boots have a handsome moka sabotage vamp sitting on a roper heel with a hybrid sole. 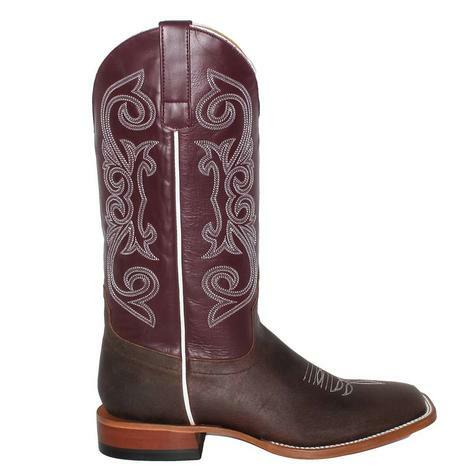 This boot features a javelina red leather upper with a toasted bison vamp. 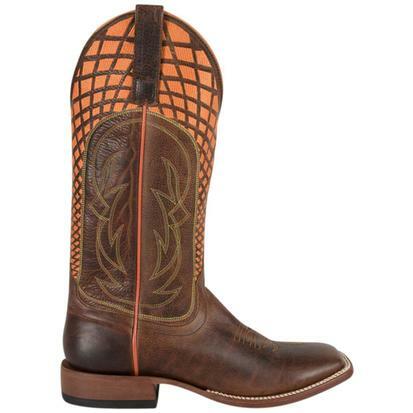 Horse Power offers the styling and fit of a premium boot at an affordable price. 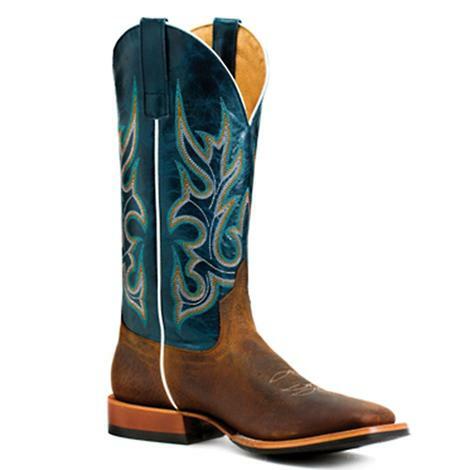 These boots by Horse Power feature premium leather construction and a unique neon stitched shaft with a brown leather vamp and a roper heel. 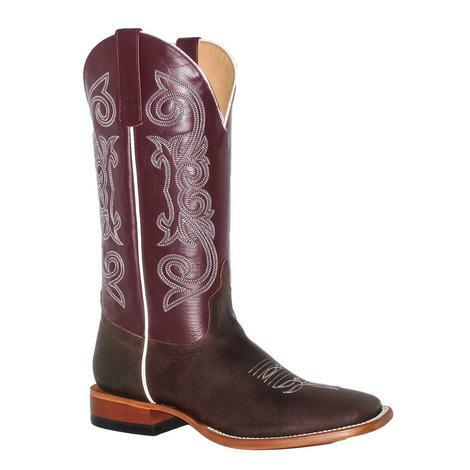 Horse Power Men's Brunette Bombshell Boot is a catchy chocolate flavored boot that will definitely catch your eye. 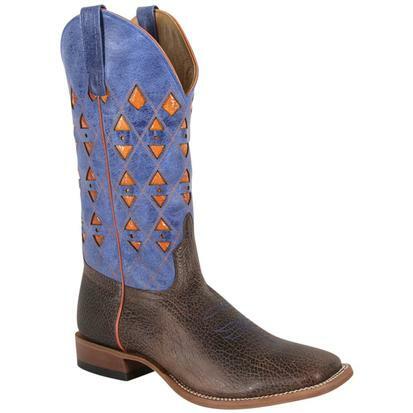 The 13" shafts of stormy blue leather hold inlaid pyramids of bright orange leather that mingle amongst a crosshatch of orange stitching. The collar is topped with bright orange piping as well as the side seams. The vamps are done in a dark crackled chocolate with toe bug stitch on a square toe with double stitch welt and a roper heel. 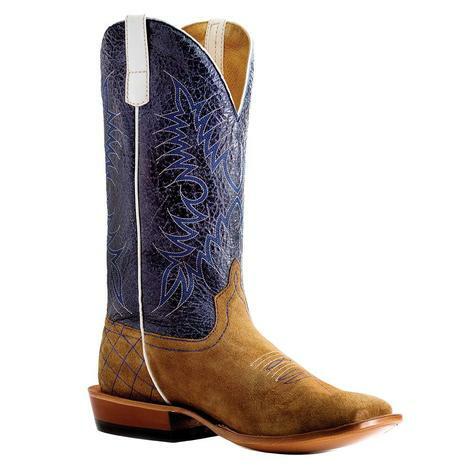 These are constructed on all leather soles to compete with the wear and tear that the rest of the boot holds up to. 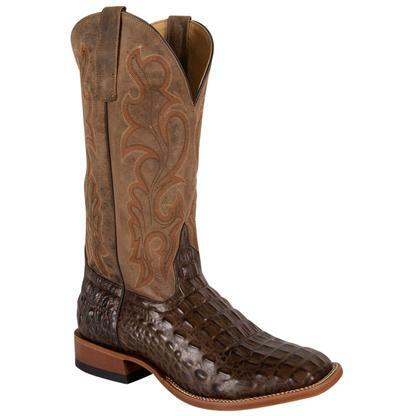 Horse Power chocolate nile boots feature crocodile print with a tan shaft and orange stitching, square toe, roper heel, leather sole, and a 13" shaft. 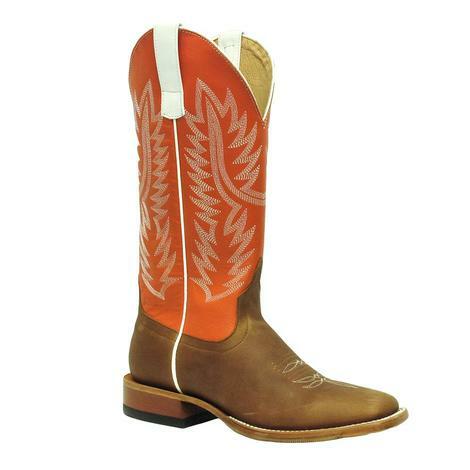 The boots by Horse Power feature a 13 inch brown leather shaft along with a Pararucu fish vamp. 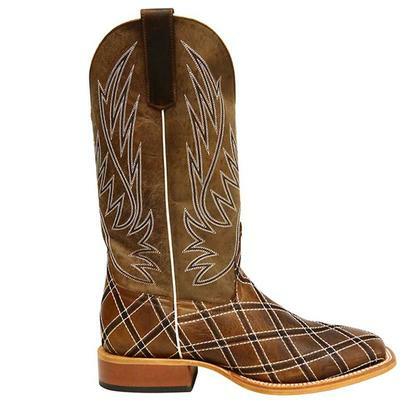 This boot is sure to turn plenty of heads whenever you slip these on. 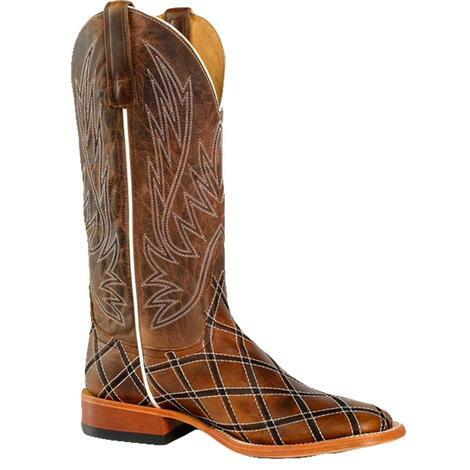 The unique honey and brown patchwork vamp gives these boots a look all their own. The 8 inch shaft is embroidered with the crazy horse pattern in shades of red, gold, and turquoise. 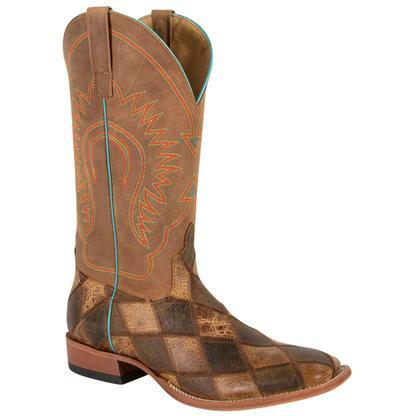 The square toe gives this boot a modern and unique style. 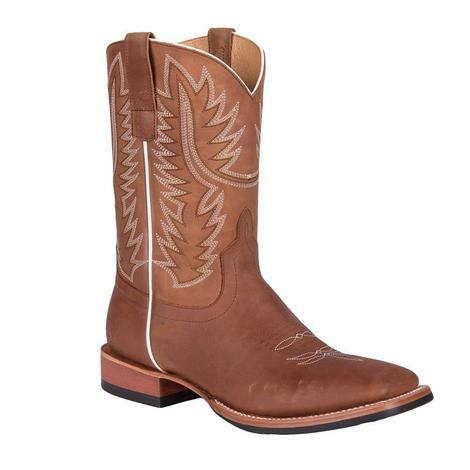 Horse Power is owned by Anderson Bean and gives you the style and fit of a premium boot at an affordable price for the weekend rider or the occasional boot wearer.